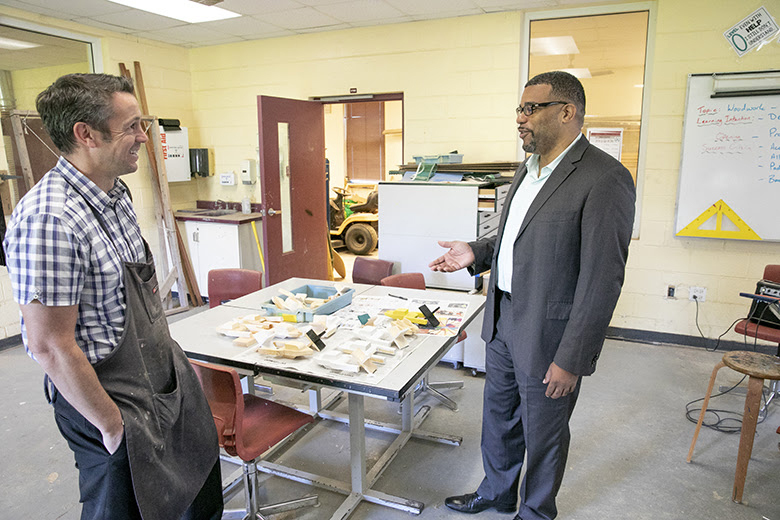 Students at Sandys Secondary Middle School shared their work with the Minister of Education Diallo Rabain during a visit to observe the delivery of the STEM curriculum in the M3 Design and Technology and the M1 class. 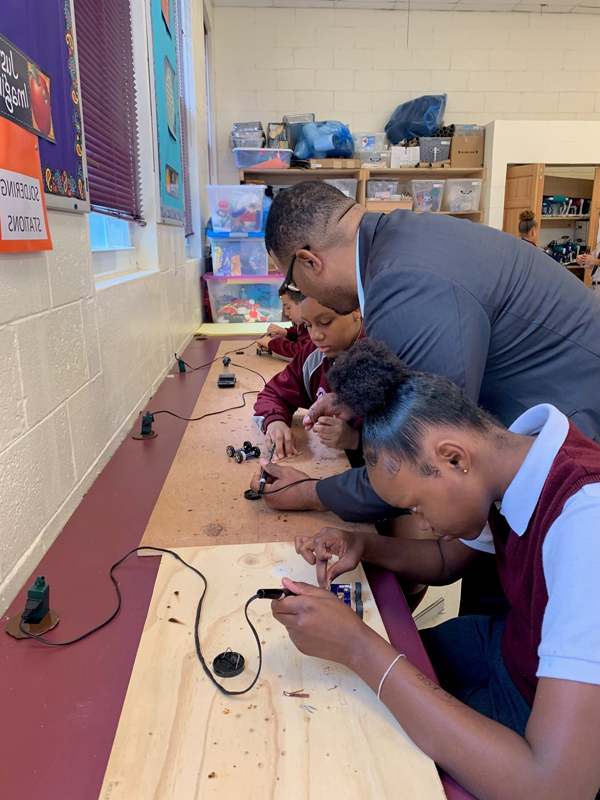 Minister Rabain observed the M1 students building solar-powered cars that on completion the students will calculate the changes in the distance and speed based their design. M1 students are studying transportation and energy with teacher Cesare Filice. The M3 Design and Technology class are learning how to design their own guitars from woodworking. 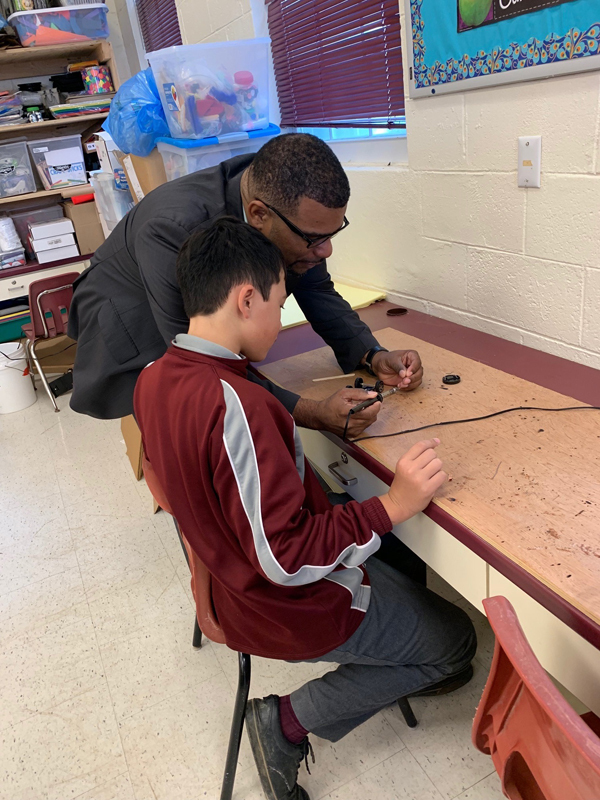 Class lessons used from the STEM Curriculum on electromagnets and sound support the students work on designing and creating the instruments. 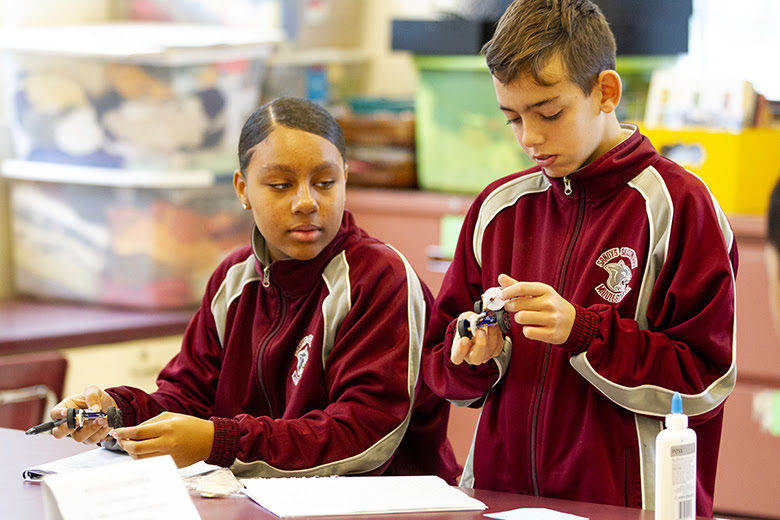 Design and Technology’s Christopher Naylor stated that the STEM curriculum allows students imagination to run rampant and gives kids joy as they enjoy getting away from traditional learning to participate in the hands-on work.